Congratulations to the statewide winners in the PNA Foundation/AT&T “It Can Wait” Contest! The PNA Foundation and Pennsylvania’s newspapers, together with AT&T are joining again to host an “It Can Wait” editorial contest to raise awareness about the dangers of distracted driving. The 2019 contest, which begins October 1, 2018, is open to all Pennsylvania high school students and offers a $500 prize for the column or editorial that best answers the question, “Why is it important to take the It Can Wait pledge to drive distraction free?” At the judges’ discretion, additional second and third place awards of $200 and $100, respectively, may be presented. We are asking PNA members to hold local contests, with a monetary or other prize of your choosing, to encourage high school students to write a column or editorial about the dangers of distracted driving. Thanks to the generous support of AT&T, the PNA Foundation will donate $100 to local winners’ cash prizes for the first 20 PNA member newspapers who contact us about their local “It Can Wait” contests. Entries may also be submitted by individuals from unsponsored areas. The PNA Foundation will announce the winning statewide entry the week of Feb. 25 and the award will be presented at a luncheon on April 3, at the Hershey Lodge. While 95 percent of drivers disapprove of distracted driving hundreds of thousands of vehicle crashes a year are caused by it, often involving injuries and death. Despite knowing the risks, nearly nine in ten people admit to using their smartphone while driving and four in ten drivers call distracted driving a habit. However, 57 percent of people are more likely to stop driving distracted if someone pressures them. 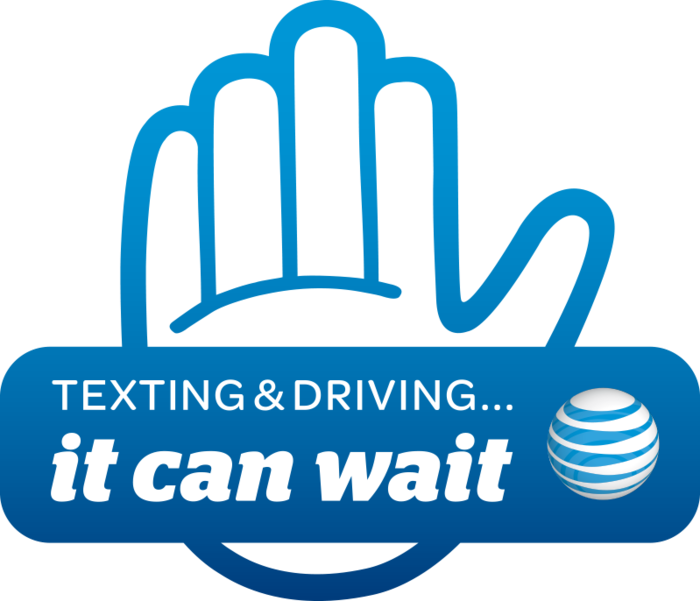 “It Can Wait” is a national movement urging drivers to visit www.itcanwait.com, where they can pledge to care for those around them and put their phones down while driving and share their pledges via Twitter (#ItCanWait) and Facebook. Since its launch in 2010, the campaign has helped increase awareness of the dangers of texting while driving to about 90 percent for all audiences surveyed and inspired more than 30 million pledges not to drive distracted. Since 2015, the PNA Foundation has joined with AT&T to host statewide “It Can Wait” editorial contests. PNA member newspapers are invited to host local contests to encourage high school students in their communities to help make our roadways safer. A winner is recognized in each participating community and entered into the statewide contest. Since 2015, nearly 600 students have participated in the contest across Pennsylvania. Treston Johnson, a senior at Carlisle High School, received second place honors, while Julie Bauer, a Bellwood-Antis High School senior, placed third (view Bauer’s entry). 2017: Biridiana Lua-Garcia, Bermudian Springs High School, York Springs. Read Lua-Garcia’s winning entry and review our press release. Additional awards were added in 2017. Abby Riggio, Blackhawk High School, Beaver Falls, received second place honors (view Riggio’s entry), while Leah Jameson, West York Area High School, placed third (view Jameson’s entry). 2016: Kyleigh Balint, Sullivan County High School, Laporte. Read Kyleigh’s essay and review our press release. 2015: Ryan Holzman, Boyertown Area High School. Read more about Ryan’s statewide and local victories and review our 2015 press release. We are asking PNA members to hold local contests, with a monetary or other prize of your choosing, to encourage high school students to write a column or editorial about the dangers of distracted driving. Enter the contest for a chance to win $500! If your local news media company is not holding a contest in your area, we encourage you to enter with the PNA Foundation directly.